Do Your Live Shows Have A ‘Watercooler’ Moment? If your social media feeds are like mine, they’re filled with ‘best bits’ clips of TV chats shows and the like from the past couple of days. These clips uploaded to YouTube or Facebook serve as great adverts/marketing for the shows as people like to share them socially. Clips like this. And that got me thinking, do your live shows have a stand out unforgettable moment which you need people to see? If so, you need an audience wider than the people that are there at your gig to see them. So, get someone in the audience to film it for you and get it on your social channels. Better still, ask the audience to get their phones out and get filming and snapping (and sharing the day after). Get your audience to film your ‘best bits’. 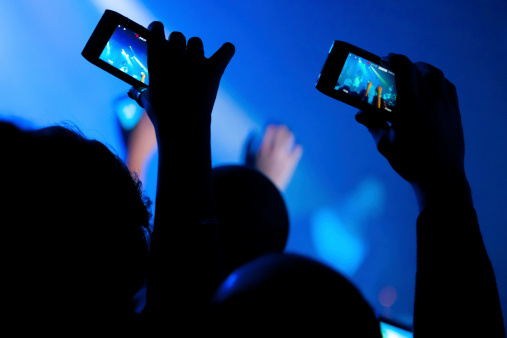 I know lots of artists bemoan fans filming at gigs, but why? It’s great publicity which your fans actively want to share. More importantly, if your shows currently don’t have any standout moments, shouldn’t you be thinking about how you can engineer some? Takeaway Tip: Make sure you have someone filming the best bits of your shows to upload to your own social channels and signpost to your fans that they should do the same.